Morning. It’s very nice to be back home I have to say. India was a bit of a whirlwind, the weather was amazing, all the trees were out in bloom it was well and truly spring, beautiful tempertures. Not so beautiful however wasÂ the poverty and all the wild dogs,Â very tough to see. Made me snuggle my two even more when I got home! I mustÂ say thank you to my very fabulous class on Saturday, the day passed in a whiz and was such fun. Thank you guys for attending and being so gracious about sitting in the worse room in the house (not yet decorated)! This morning I wanted to touch on focal points or I should say attention commanders. Pieces that draw your eye towards them and make your heart skip a beat. The thing about focal points as I said in the class is that in order to make a room super cool you need not one not two but at least three. One won’t pull the eye in lots of different directions so the real trick is to have quite a few. For example if you take my studio I have a supersized mirror over a fireplace (attention commander number one). I have a glass chandelier suspended from the ceiling (number two) and then lots of smaller little attention grabbers. A shot of lime foliage on the fireplace, poodles on ostriches all pulling your eye around the room in different directions. Not forgetting my desk sprayed teal. So when you walk into the space you are bedazzled. Do you look here, there, over there – its exciting its stimulating and you will have on your hands a room you will never ever want to leave! So this is what I’m talking about – by just looking at this image belowÂ where does the eye dart first. 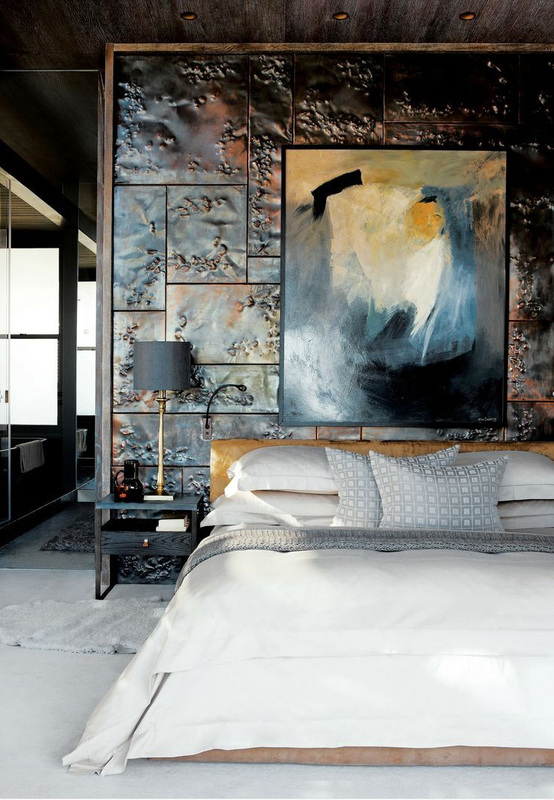 To the wall, the painting, the bed and that is without even seeing the rest of the room. Tricks that all the cool designers use , so ditch convention with only having one focal point in a space. Three or more I say! Oh and I must tell you one more thing. 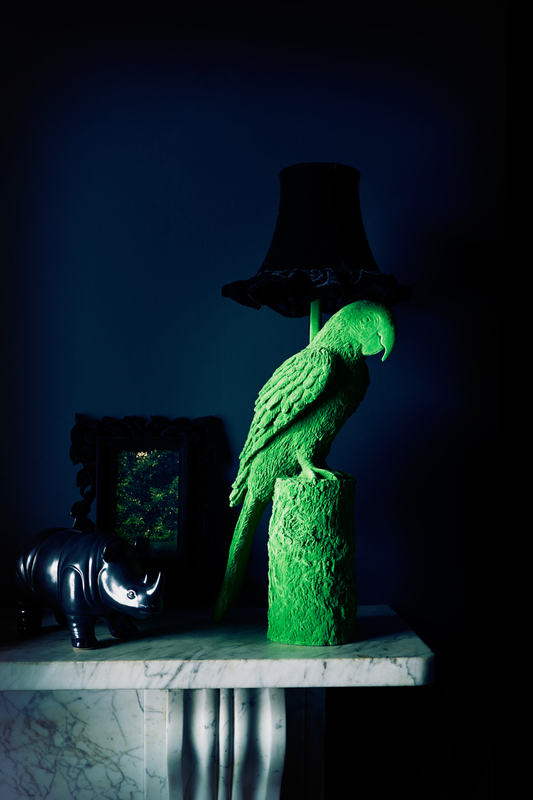 I came home from India to the news that my parrot lamp is the second best seller in the whole of Debenhams lighting and he has only been in store a week. AMAZING. Thank you to everyone who has brought him, I’m grabbing a few for myself and the store actually (they will look amazing in the plant section) this week!